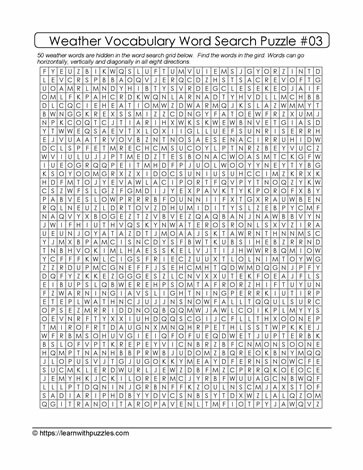 Here is a challenging word search puzzle that contains 50 weather related words. With global warming a common word, we have compiled a list of weather related words engage the learner, increase their vocabulary around weather, and make learning fun at the same time. This puzzle is suited to educators teaching about the weather and wanting to challenge their learners, while engaging students' brains in other areas such as problem solving skill development and fine motor skills practice.